What I am about to say may cause some discomfort, but perhaps it is time that we move beyond the Neo-Thatcherite/Neo-Blairite visions of the world and find a new approach. Today the West finds itself once again mixed up in a war in the Middle East, and once again we are hearing the name calling of our so-called enemies. Words like “fascist”, “murderous”, and “evil”. But I used those words just last week to describe proposed changes to the NHS. So perhaps it is time to step back, take a deep breath and try to understand “The Other”. To work toward a more even-handed vision. Again, the usual suspects continue to use quite slanderous words about ISIS. 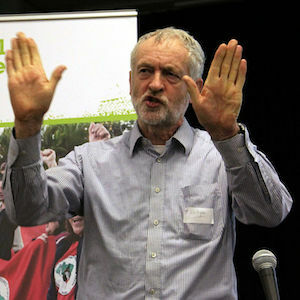 Yet right here in London, we can witness genuine outreach on their part, with the very real example of Anjem Choudary, who has made sincere efforts to work with the Progressive Community by defending a Labour MP when she got slightly ahead of herself and suggested that Israel should be dismantled and the Jews shipped off to the United States. In fact, one can even compare ISIS to Israel, which I have been known to do in the past. So today I stand before you as a proud member of the Progressive Left and say: It is time for us to look at ISIS objectively and see it for what it truly is. A community that is ethnically diverse, dissatisfied with the status quo, critical of Western Imperialism, and clearly motivated enough to take direct action. They embrace the philosophy of Said Qutb. But so do many people whom I count among my friends. They are fond of their beards, as am I. They have some serious problems with a certain group of people clustered along the Levant and the London Northern Line. As do I.